Find free classifieds for Commercial for rent for sale or to buy in Chandigarh. FREEADS in India offers you a platform to post free advertisements or classifieds for Commercial for rent, Chandigarh. FREEADS in India helps you search, find, buy, sell, rent or hire in various categories like apartments, goods for sale, local services, cars , jobs and many more in Chandigarh. Shown below are ads available in Commercial for rent, Chandigarh. You can use search box above to refine your search. fully furnished office for rent with furniture , ac, non ac, prime location , scf 103 phase xi mohali. We are Looking for Office Space in Chandigarh (15*18) IF you have please contact me on this number 9872883505. Looking for Newly Fully furnished office space for rent in Mohali Phase 8B. We have own office space for rent in Mohali. Space facilities are mentioned as below: 	Price: 70 Rs/Sq. Feet 	Seats: 24 	Reception Area 	2 CEO CABINS 	Meeting Room 	Lifts 	Shattered Parking 	24x7 Power Supply 	24x7 Security 	Main Link Road Attached 	Fully Air conditioned 	Fully Furnished 	Newly Built Building 	No Consultation and brokerage fee 	Direct Deal With Owner For more detail: please fill details at www. Best rated community residential and ready to move apartments for sale in Mohali, Kharar & Balongi within your budget with the best property dealers in the city. We offer 2 BHK and 3BHK west and east facing apartments. Get in touch with us today to know more. click here to visit us https://www.alexanrealestate. Best rated community residential and ready to move apartments for sale in Mohali, Kharar & Balongi within your budget with the best property dealers in the city. We offer 2 BHK and 3BHK west and east facing apartments. Get in touch with us today to know more. Visit our website at www.alexanrealestate. Fully furnished IT space for lease at minimum rate, 24*7 power backup /RO water/AC/ hygienic Seprate Wash room for Male female , Fully equipped Pantry with RO and Microwave Fridge Hi Speed internet with LAN networking high quality 100+ workstations with Projector , CCTV , corporate Ambiance Dedicated. Real Estate broker in Mohali commercial place for establish your business in the furnished space. We always ready to provide to the best property services. For more information:-http://mrbroker.in. We provide all the associated services, consultancy, support and liaison to buy, sell, rent properties in India and obtain various approvals, clearance and certification of real estate projects and Foreign Direct Investment in India, all under single roof. We are glad to offer you exciting opportunities to invest in commercial real estate. Industrial space in Mohali for establishes your business with the fully furnished space. We are the best property broker in Chandigarh to complete your all real estate needs. For more information:-http://mrbroker.in. shop for sales and rent Size (10’*18’) lakhani nagar, jodhapur Agriculture land for sales and rent , main national highway , size (300’*400’) 8 Acre for hotel, work shop , restaurant etc. Agriculture land for sales and rent, 100 Acre , jodhpur , for solar plant etc., Contact :-s.
If you don't like ironing, you don't have time or you struggle with it, don't worry, I'll 'be happy to help you. I'm 35, live in Belper and I don't have a problem with driving to you but if you feel like dropping off your things at mine then if you If you have any qeustions or you want to discuss. Newly constructed Play school building for Lease on VIP Road in Zirakpur. We are specialized in offering excellent corporate services for Night Shifts to our reputed clients preferably for I.T / TELECOM / B.P.O, Call Center / MNC , firms, government and semi-government organizations, at Chandigarh. Manpower provided by us for the corporate sector includes the following: *Spacious area of 2500 square feet *Complete IT Infrastructure with Server Room *Reception Area *Lease-Line for Internet *Land-line Facility available *Number of seats available 30-50 *Conference Room / Training Room with prior information. Available prime location booth (size 10x19) with huge parking space on rent for Bank ATM Contact address: Shop No. : 24 Shalimar Enclave, Himatgarh, Dhakoli Zirakpur Call now: 07837947532 or email ashwani7044@gmail.com. UFXMarkets: India’s safest online trading platform that offers easy trader platform, forex currency trading tools, safety trading tips, Commodity trading and free trading account. Start currency trading online with UFXMarkets. http://www.ufxmarkets.com/in. Mohali, Phase 9, SCO-120 (9915016816), visit our showroom if you looking for a place to expand your business? Find Commercial Show Rooms for rent / lease in Mohali within your budget. The space is ideal for a Multi National Company or a bank to set up their operations. Total area is 800 sq ft over Basement and ground floor. 50% Share (Ist floor and 2nd floor) SCO no. 91, Sector 47/D, Chandigarh, area 1400sq ft. owned by Punjab & Sind Bank Sector 34 Chandigarh. Last date, time & place of reciepts of tenders: On or before 30-03-2013 upto 5:00 pm at Punjab & Sind Bank Sector 34 A, Chandigarh Last date & time of opening. Our services: •	Providing Call Center for Lease/Recent •	Providing Call Center seats on lease •	Providing Call center Dialer / IVR •	Providing commercial office lease/Rent We are Specialized in Complete Call Centre Solution Domestic & International •	We are Providing Space on Lease for Call Centre •	Installation of IVR/Predictive Dialler for Call inbound & Outbound on lease also •	Installation of Desktop Computers / Servers / UPS on lease also •	Complete implementation of call centre setup We are also providing Call centre seats on lease also in that services we are providing: •	Desktop Computers •	Predictive dialler/ incoming and outgoing. Key logger software captures information saved by other people in your computer’s hidden folders when you are not around.Spy software download software captures information access on your pc by unauthorized users while remains hidden from their view. Best keylogger software track other user’s tasks on your pc and allows you to monitor your system from any remote place. main madhya marg sector 26 chandigarh available 6800 sq ft on ground floor. corner property with extra parking on side. Also available 1100 sq ft on first floor of same building. contact owner 9818056057. We have 7 acres of commercial land, now available for rent / lease on the Chandigarh Patiala highway, only 4.2 kilometres from the Zirakpur Chowk. We own the property plot free and clear. The prime real estate is strategically located on the main road frontage, near the new international airport and the Chatt Bir Zoo, 500 metres from Chimney Heights. India ads for Commercial for rent, Chandigarh, Commercial for rent free ads Chandigarh, Commercial for rent for sale Chandigarh, Commercial for rent to buy in Chandigarh. 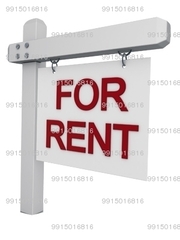 This page is a classified ads listing for Commercial for rent Chandigarh. This listing includes classifieds for sale and to buy in Chandigarh. If you posted an advertisement on Commercial for rent, Chandigarh before please use Edit my ads button to change or cancel your ad. Commercial for rent Chandigarh ads Chandigarh, Commercial for rent classifieds Chandigarh, Commercial for rent free ads Chandigarh, ads for sale Chandigarh, ads to buy Chandigarh, FREEADS in India. Find here ads for sale, to buy and rent in Chandigarh. Goods for sale in Chandigarh, vehicles for sale in Chandigarh, Chandigarh real estate for sale, Chandigarh property for sale, property for rent in Chandigarh, business ads in Chandigarh, Chandigarh business classifieds, services in Chandigarh, Chandigarh services ads, jobs in Chandigarh, pets for sale in Chandigarh, Chandigarh dating, Chandigarh cars for sale.